More voices for reform to Tarion. The article below was published in The Toronto Star on June 18, 2016. When is anyone in the Ontario government going to take action to fix Tarion? Another Cabinet shuffle is not going to help, it only creates another learning curve. Problems are long-standing and well-documented. Fix this opaque monopoly now! Toronto Sun, Nov. 2015, guest column by former MPP Marchese on why Tarion must be reformed. Enough talk, need action. 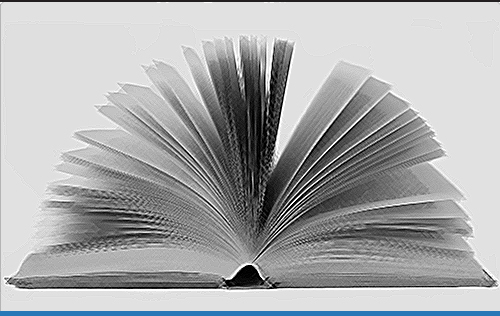 The Canadian Lawyer Magazine blog announces the review of Tarion to be conducted by the Honourable Douglas Cunningham, Q.C. This is a RAY OF HOPE for consumers! ….Former Associate Chief Justice J. Douglas Cunningham has been appointed to review Tarion and new home buyer protection in Ontario. This review is to include consultations with the public. Results to be completed summer, 2016. Why won’t Minister Orazietti, Minister responsible for Tarion, answer consumer questions or MPPs questions about Tarion? see the excellent letter ( link below) from MPP Jagmeet Singh which continues to go unanswered since March 26, 2015. Tarion was created to protect consumers, but consumers are not being listened to. This government seems afraid to confront the powerful building lobbies which got it elected. Consumers feel their feedback is being censored or stifled by Tarion. Reforms are necessary and urgent to protect new home buyers in Ontario. Please listen to the views expressed here. MPPs and other experts speak out on the urgent need for reforms and the road ahead. 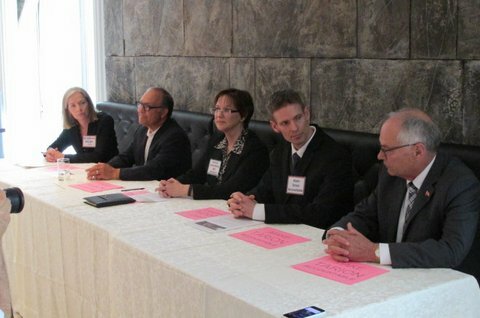 -from left to right: Barbara Captijn, Volunteer Consumer Advocate and blogger: Rosario Marchese, former MPP and Tarion expert; Karen Somerville, President of CPBH; Jeffrey Ferland, homeowner/co-author of website Make Tarion Accountable; MPP Randy Pettapiece, Critic Ministry of Consumer and Government Services; at right of photo, Dara Bowser, Canadian HVAC expert. 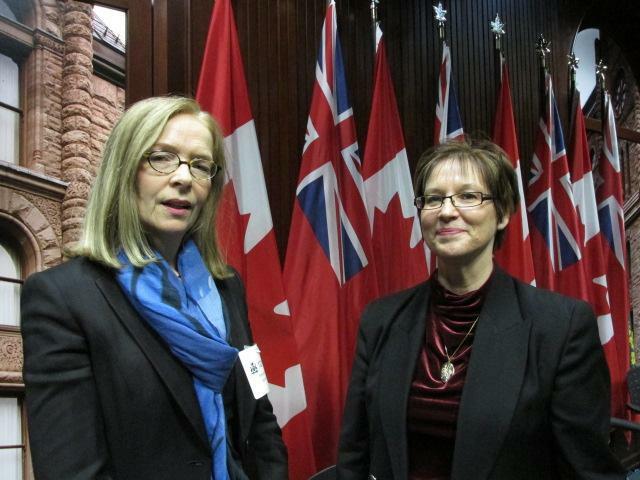 (R to L in photo): K. Somerville, Ph.D, of volunteer consumer group CPBH (Canadians for Properly Built Homes) with B.Captijn, M.A., blogger and volunteer consumer advocate, pictured at the Ontario Legislature after a press conference advocating for better protection for consumers against construction defects. Dr.Karen Somerville is a tireless advocate for consumers through her volunteer national organization CPBH. For over 10 years Karen has donated countless hours to bring improvements in consumer protection for new home buyers all across Canada. Those who’ve suffered injustices are often motivated to help others. Either you’re part of the solution, or you’re part of the problem. Karen has dedicated herself and her organization to being part of the solution. 2013 – Ontario consumers continue to fare very poorly fighting Tarion decisions at the Licence Appeal Tribunal. from staff of former MPP Marchese’s office, June 2014. I have the following questions about the Tarion Warranty Corporation. Would you please include them, along with your responses, in the minutes of Tarion’s Annual Public Meeting, being held tonight? 1) Under Section 18 of the Ontario New Homes Warranties Plan Act, Tarion “shall” appoint inspectors to oversee the building of new homes “during its construction.” Yet I have received confirmation that Tarion has not appointed a single inspector for this purpose. Why not? 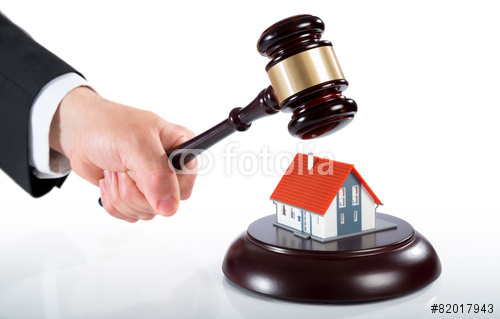 2) John Meinen, past president of the Stratford and Area Builders Association, recently told the Stratford Beacon-Herald that the rate of illegal home building in Ontario is “30- , 40-, 50 %” in some areas. In Windsor, he said the rate of illegal building is as high as 50%. Why has Tarion allowed so much illegal building to take place? 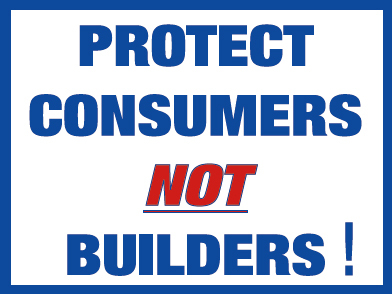 3) Why does Tarion have a Builder Arbitration Forum where builders can appeal Tarion decisions quickly and cheaply without going to the License Appeal Tribunal, but no such process exists for consumers? 4) Based on published reports of Tarion’s staffing levels and total salaries, it appears the average compensation at Tarion is over $100,000 per year. How much of that goes to Tarion’s CEO, COO and nine vice-presidents? And what process exists to assure the home buyers whose mandatory fees pay these salaries, that these compensation packages are warranted? 5) Home buyers report that Tarion’s builder directory still doesn’t disclose all successful consumer claims against deficient builders. Why hasn’t Tarion addressed this transparency problem, which was revealed in a major investigation by the Toronto Star last year? 6) Why does Tarion’s seemingly-favorable “customer satisfaction” survey exclude most builders, particularly the smaller and higher-risk builders responsible for most problems? Law says Tarion must hire inspectors. So why hasn’t it? An ounce of prevention is worth a pound of cure, goes the saying. The idea is that it is better to avoid problems in the first place than try to fix them afterwards. The Tarion Warranty Corporation is bound by rules that follow this principle. Under Section 18 of the Ontario New Homes Warranties Plan Act, Tarion is required to hire inspectors to verify “during construction” that homes are being built properly. Except, I recently learned that Tarion has not hired a single inspector. Tarion is the private, developer-controlled corporation that the government has entrusted with the job of protecting Ontario’s new home buyers. Consumer groups like Canadians for Properly Built Homes have complained that Tarion seems more interested in protecting the developers that control it, and not the consumers who pay Tarion’s bills via provincially-mandated fees. This may explain why Tarion is unwilling to hire inspectors to oversee builders during construction, but is very willing to hire lawyers to fight consumers in court after things have gone wrong. There are municipal building inspectors, but they inspect only to the minimum standards of the Ontario Building Code. The Code ensures a building will not fall down or make you sick, and that it meets current energy efficiency and accessibility standards. But municipal building inspectors are not required to verify that the home’s heating system functions properly, or that the hot water works. And they do not inspect for workmanship. By law, Tarion’s warranty must guarantee not just that the home is built according to the Building Code, but also that the home is habitable and built to a reasonable standard of workmanship. But Tarion has hired exactly zero inspectors to ensure builders are upholding these standards during construction, even though the law says they must. The Ontario New Homes Warranties Plan Act spells out serious penalties, including fines up to $100,000, for corporations that prevent inspectors from performing their duties. What penalty does Tarion face for not hiring any inspectors at all? Last December, I introduced Bill 139, the Tarion Accountability and Oversight Act. My bill would transform Tarion into a true consumer protection agency by ensuring Tarion’s board of directors is controlled people who represent consumers, instead of developers. My bill would also allow Ontario’s Ombudsman and the Auditor-General to oversee Tarion. The Tarion Warranty Corporation’s new Ontario Builder Directory is “worse than useless,” said Trinity-Spadina MPP Rosario Marchese, after receiving numerous reports from homeowners who say the new directory still fails to disclose crucial information about poor builder performance. Marchese said that the Ministry of Consumer Services has broken its promise to ensure Ontario’s new home buyers get accurate and reliable information about a builder’s track record. After a Toronto Star investigation last July revealed that the privately-run Tarion was keeping secret records of incompetent or risky builders, Minister Tracy MacCharles promised to work with Tarion to improve its builder directory, so consumers can make “informed buying decisions” about new home builders. But after Tarion quietly rolled out its new directory last month, Marchese began receiving reports from homeowners who say their successful deficiency claims still do not appear on their builder’s record. Tarion also does not disclose deficiency claims against builders in cases where Tarion’s decision to reject a consumer claim was successfully appealed to the License Appeal Tribunal. “Why should Tarion’s failure to protect consumers, forcing them to appeal to the LAT, be used to justify keeping these successful claims a secret?” asked Marchese. “Clearly, Tarion can and does keep secret any deficiency claim against a builder it wants. Consumers should not trust this directory at all,” said Marchese. In November, Marchese introduced Private Member’s Bill 139, which would give the Ontario Ombudsman and the Auditor-General the power to investigate Tarion, and would remove Tarion’s board from the control of the Ontario Home Builder’s Association, a development industry lobby group. “It is time for Tarion to made accountable to the consumers it is supposed to protect, not the developers it is supposed to regulate,” said Marchese. QUEEN’S PARK – Trinity-Spadina MPP Rosario Marchese tabled a private members’ bill today that would give the Ontario Ombudsman and the Auditor-General the power to investigate the Tarion Warranty Corporation, the private, developer-run corporation created by the government to protect new home buyers. “Most of Tarion’s funding comes from Ontario’s home buyers, but Tarion does not answer to consumers. It answers to the developers it is supposed to regulate,” said Marchese. During Question Period, Marchese asked Consumer Services Minister Tracy MacCharles to explain why a corporation set up to protect consumers seems more interested in fighting consumers at the License Appeal Tribunal, while protecting builders. Marchese also asked about Tarion’s bloated senior management, at a corporation where the average compensation is over $100,000 a year. “Is Tarion another ORNGE? And if not, will the government make Tarion open up its books and prove it?” asked Marchese. 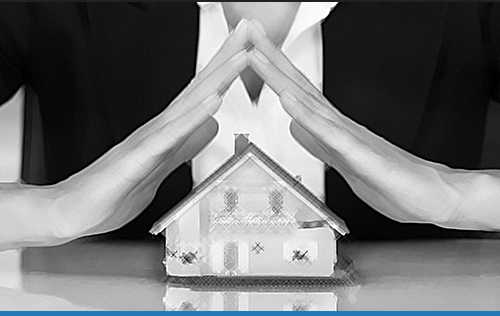 QUEEN’S PARK – Trinity-Spadina MPP Rosario Marchese today announced a new private member’s bill to be tabled next week that would transform the developer-controlled Tarion Warranty Corporation into a true consumer protection agency. New home warranties in Ontario are overseen by Tarion, a private corporation controlled by the Ontario Home Builders’ Association, a construction lobby group. Under its 37-year-old governing legislation, the Ontario New Homes Warranties Plan Act, Tarion is supposed to honour builder warranties when the builder fails to do so, charging back to the builder the cost of repairs. Many consumers have filed warranty claims only to wind up in court or the License Appeal Tribunal, fighting not only the builder but Tarion as well. The process is long, expensive and emotionally draining. Even when their case is strong, many consumers just give up. Although Tarion is mainly funded by consumers, directly through separate fees or indirectly through home purchase prices, it is not considered a public agency, and is not subject to normal public oversight, or review by the Ontario Ombudsman or the Auditor-General. Marchese says the time has come for Tarion to be made accountable to consumers. “The Star’s story suggests that we need to share more information on the builders we register. We agree. “Q. Many homeowners use the Tarion website to research builders ahead of time, to see if they have any chargeable conciliations. By using that site, it is quite clear that many conciliations that should be chargeable are not on there. In fact, when you do research and look at how many homes a builder has enrolled and how many charges they have…to me, it looks statistically impossible that so few homes ever have charges. Is there something to look at, to say, can it be more transparent to homeowners to have a way to understand, which builders have clean records and which builders have charges? The Star found that Tarion knows who the bad builders are, but refuses to disclose its records to the public. And so consumers who visit Tarion’s website to look up a builder’s past conduct will receive information that is inadequate and possibly misleading. In a follow-up article yesterday, Minister of Consumer Services Tracy MacCharles pledged to work with Tarion to improve transparency. Ontario consumers should be skeptical. In fact, Tarion and the ministry have made similar pledges repeatedly for at least a decade, with precious little to show for it. There is no reason to think this time is any different. In 2003, Tarion (then known as the Ontario New Homes Warranty Program) and the Ministry negotiated a Letter of Accountability in which Tarion pledged to use “best practices” to manage consumer complaints about builders and to track these complaints in a database. Unfortunately, since it is a private corporation, Marin was unable to investigate Tarion itself. He could only urge the government to stop pretending it had meaningful oversight over this entity it had created. The report revived longstanding demands for Tarion to be placed under the Ontario ombudsman’s authority. In response, the Tarion board established its own ombudsperson’s office, which naturally reports to the Tarion board, not the Ministry. “I really do take our commitment to be accountable very seriously,” said Tarion CEO Howard Bogach at the time. In his first report in 2009, Tarion’s new ombudsperson noted that there was still no process for collecting information about a builder’s past conduct with respect to honesty and integrity. He recommended that licensing staff get training about receiving and recording information about builder conduct. And again, Tarion’s management pledged to do better. “We should be held to a high standard with respect to public accountability,” said Bogach in his response to the report. He agreed to implement the recommendations. This time, Bogach did not even pretend to be interested. He replied, “Tarion will consider the extent to which it is within its Objects to change its approach to builder honesty and integrity.” A legal analysis was requested. To sum up: after being told, again, that Tarion lacks a “credible complaints process” to track dishonest and corrupt builders, Tarion’s CEO chose to consult the legislation to determine whether he is obliged to give a damn. The legal analysis was requested last year and was due last month. No report has yet been submitted. Take action! Should Tarion protect consumers, or developers? Please email Minister MacCharles and tell her that Tarion is indeed “broken” and needs major reforms. You can also write her at Ministry of Consumer Services, 6th Floor, Mowat Block, 900 Bay Street, Toronto, ON, M7A 1L2. Whistle blowing is a very tough task for employees who risk their jobs or being ostracized from their colleagues. Anyone who has ever done this before knows its a long and lonely road even in large corporations, even in a modern democracy like Canada. But its often the only road to long-lasting and meaningful reform. The Tarion employees who wrote this letter below to the Premier on March 31st, 2014 have sent a much-needed wake-up call to Tarion executives, the building industry, the Premier, and legislators. Something is rotten at Tarion. We have been pretty clear – for years – what it is. Who will fix it, Madam Premier? Surely not those with their heads still in the sand denying there is a problem. Thank you, on behalf of new home buyers, to these brave people for speaking out. An extensive postcard advocacy campaign was completed in Feb. 2014, over 400 red postcards were mailed to the the Premier of Ontario, Kathleen Wynne, signed and addressed by over 400 Ontarians urging her to bring forward Motion 50 to the Legislature for debate and vote. Further she has refused to meet with concerned consumers and consumer groups (CPBH) regarding reforms to Tarion. With promises of a new transparency and accountability in the Liberal government, many of us are left wondering if these policies will ever trickle-down to Tarion. Consumers expressed frustration with Tarion’s lack of protection for new home defects, and the corporate culture of “the consumer is wrong, the builder is right”. They urged Tarion to focus on its consumer protection mandate, by wearing this badge at the meeting and holding up orange signs with the words “Make Tarion Accountable”. Builders may be brought kicking and screaming back to this consumer protection mandate, if Bill 139 or Bill 190 for the Auditor General’s or the Ombudsman of Ontario’s oversight over Tarion becomes law.